Need to control the speed of those coming into your asphalt parking lot, driveway or private road? Speed bumps or Speed Humps are the most effective method and the safest for all pedestrians as well as drivers. 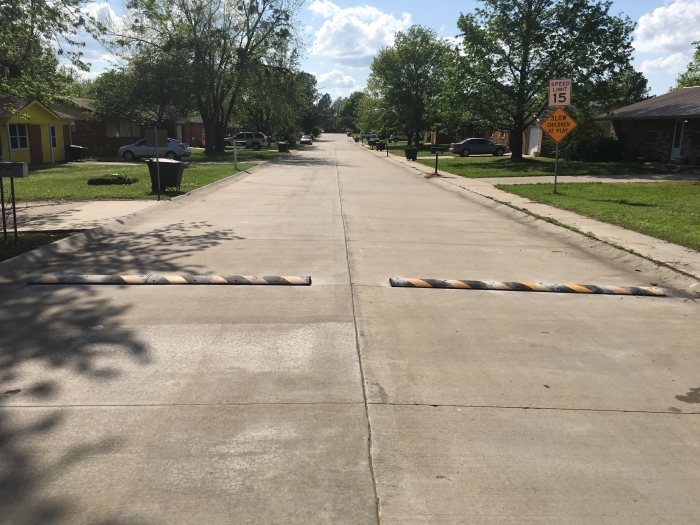 Our professional installers can install driveway or asphalt parking lot speed bumps and humps to help you control the speed of all vehicles. 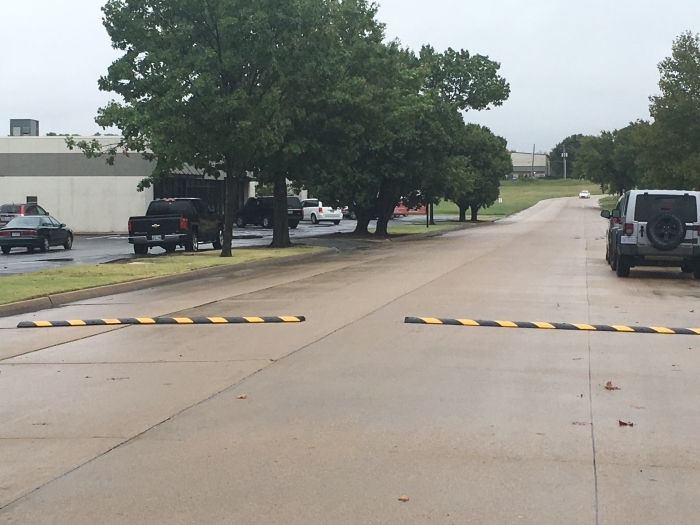 We offer also sign installation as speed bumps or hump signs are the best way to communicate to drivers to keep their speed to a minimum. Call us today for all your parking lot and driveway needs, including Sealcoating. Three Rivers Sealcoating Tulsa is located in Fort Gibson and Tulsa areas. Servicing Eastern Oklahoma and Western Arkansas. Call Today. 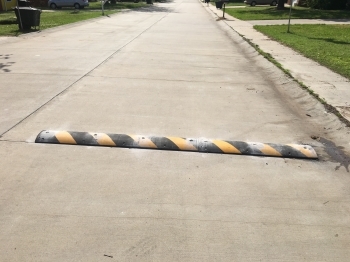 918-351-4347 or Contact Us for a FREE QUOTE on getting your speed bump installation done quickly and efficiently.